Coconut oil guide › Coconut oil blog › Is coconut oil saturated fat good or bad? When I was talking about the benefits of coconut oil some time ago, I illustrated the simple mechanism of why the saturated fats in coconut oil are good for us. But that's only a portion of the entire article and not focusing too much on it. So, this time around I wanted to put a spotlight on coconut oil saturated fat. I wanted to show you how the saturated fats in coconut oil can indeed help you. It's not like what the many "tough nut" professors and doctors out there have publicly said. They don't use coconut oil, so how true can their statement be? Your common sense will tell you. I take coconut oil for health benefits every day. I use coconut oil on my skin for daily care. I treat my parents' injuries with coconut oil from time to time. They're old and so they tend to easily hurt themselves here and there. Especially my mom. She was diagnosed with diabetes since 2004 (she was 63 then). Before I tried coconut oil on her, a simple wound on her leg or foot would usually take about 2 weeks or longer to completely heal. You know, diabetics tend to take longer to heal, particularly on the lower body. Ever since I started coconut oil to treat her cuts and wounds (she was pretty prone to injury), amazingly, the tissues on her simple wound would start to close up in just 3 days and completely heal in 7 days or so. Of course, more complicated and deeper wound would take longer. Like the 25-cm long surgical incision she got on her lower tummy in 2016. Her surgeon passed me a few tubes of antiseptic cream for treating my mom's stitched wound at home. I stopped that after 3 days because the cream didn't stop the pus from oozing. I turned to coconut oil instead. And the pus was starting to discharge lesser on only the second day of application. Her surgical wound was healing pretty fast, like 3 weeks or so since the application of coconut oil. My mom was happy because she no longer had to suffer the post-surgery pain and discomfort. At 75, her skin tissues could still regenerate almost as good as when she was 63 years old. And don't forget that she was a diabetic patient as well. So, what's the secret behind coconut oil? Nothing special about it. It's just the saturated fats, actually. But listen hard, it is the saturated fats in coconut oil that have the miraculous healing power. Not those in animal meat. They're two totally different things from utterly different dimensions. So, don't mix them up. They're just not the same. 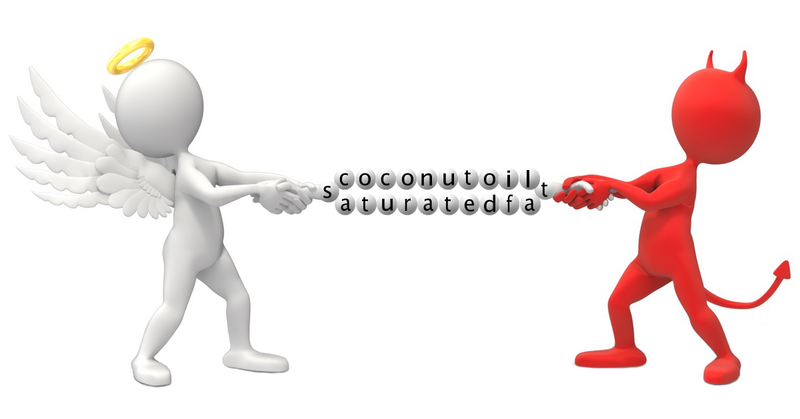 So, why do the saturated fats in coconut oil have such a robust healing power? Let's dig in. 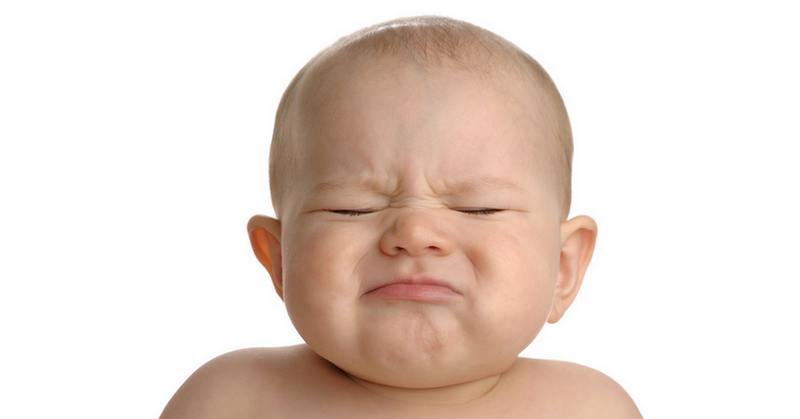 Without fail, an open wound always "invites" free radicals. They're invisible invaders. But that doesn't mean they don't exist. One of the prime reasons why a cut takes some time to heal is due to the invasion of free radicals. I bet you don't know about that, right? These renegades will prevent the injury from healing by wrecking the already damaged tissues, tearing them even more apart and making them even harder to heal. That's why if you live in a polluted environment, you'll find that your wound heals very much slower. That's plain common sense. But we just never thought of the existence of free radicals. This is why when you apply a layer of coconut oil over your wound, it leaves no chance for free radicals to assault and cause more damages. Not just wound of any kind, the saturation in the fats of coconut oil also help to effectively prevent sunburn. Sunburn is a severe skin damage caused by rapid reactions of free radicals on the skin. And what motivates the rapid reactions? Ultra-violet rays from the sun. My wife was allergic to sunscreen. And I never like to use those because of the chemicals inside (I'm a natural guy 😉 ). So, the very first time we tried using coconut oil as a sunscreen was our summer trip to Taiwan few years ago. There, we were bold enough to cycle for 4 long hours under the burning hot sun. The sky was clear. We were not sheltered along the ride. We had our caps on. Then something amazing happened. We found our skin only slightly tan after the blazing ride. No burning sensation on our exposed arms and back of our necks that entire day. Nothing. That was where I discovered another impressive usage of coconut oil. Thanks to its saturated fats that freeze free radicals dead in their tracks. Why do you think doctors always give us antiseptic cream for our injury? Simply because an open wound is prone to infection by the surrounding bacteria and other harmful microbes. But they don't seem to know that the surrounding free radicals play a part in the onslaught too. That's why they never give you anything to combat free radicals. And that's why the antiseptic cream did little to my mom's surgical incision. So, when you treat your injury with coconut oil, it not only protects you against free-radical reactions, but also fight to kill any bacteria or germs that attempt to disrupt the healing. What makes coconut oil so brutally protective? Credit goes to the strongest fighters of course, which are none other than lauric acid, caprylic acid and capric acid. These medium-chain saturated fats do not fight alone. Instead, they fight together, creating a synergistically formidable shield against intruders. Of course, other saturated fats in coconut oil like myristic acid, palmitic acid and stearic acid do also contribute in the defense. But because they're larger in size (they're long-chain fats), so they cannot move and kill as swift as the shorter "guerilla" medium-chain saturated fats. Size not only matters in the fight against harmful germs, but also a crucial factor that helps to repair your skin tissues faster. Many with low thyroid issues manage to reclaim their functioning metabolism by simply introducing coconut oil to their diet. It's the medium-chain saturated fats at work. These fats are so small that they can easily break through the cell walls and fuel the cells. When all cells get invigorated, your metabolism will increase as a result. An increased metabolism enables quick replacement of dead cells with fresh new cells. I can substantiate that with my recent accident. I tripped over some packing PP strips and fell quite heavily at night. I suffered quite a severe abrasion on my right knee, right elbow, mild abrasion on right ankle and a huge impact on the right back of my head. Every bleeding wound was on the right side. I went to see my friend who's a near-50 veteran doctor. He calmly listed out my injuries point by point and attended to my wounds. As usual, he passed me an antiseptic cream and instructed me to use every day. He gave me antibiotics too as I got head injury. I didn't use the cream because I know it's not going to help me much. Needless to say, I applied coconut oil instead. 6 days were up and he checked on me. Everything looked good on me and he asked me to show him the abrasion on my right knee. I was a bit reluctant at first because I was wearing long pants and lazy to roll up. But he insisted to fulfill his professionalism. I showed him then. I burst into laughter. You know, Wolverine in X-men has instantaneous healing ability. Of course, I was far from that. But to a veteran doctor who has seen so many cuts and wounds before and got flabbergasted at my healing ability, that shows how good coconut oil can be in fixing damaged tissues. He further explained why he reacted that way. He told me that abrasion on the knee usually takes longer to heal. And of course, mine was not just a mild abrasion. Secondly, I was already in my mid 40's so he was expecting some slow progress. But what I showed him that day was a nice and smooth skin without scab (already like that 1 day earlier, actually). The rest of my wounds were healing at incredible rate too, like my deeper 3-stitches head injury – completely healed in just 11 days (scab falling off by itself). I didn't anticipate that I was going to write this piece. Otherwise I would've taken some snapshots of my injuries and showed you the entire process of healing and the results of using coconut oil. By the way, I only took one antibiotic pill the first night and two on the second day and that's all about it. I didn't finish the course as instructed as I know how bad antibiotics are. They disturb my digestion. I add coconut oil in all my meals, so that's good enough. Try coconut oil on your wound if you ever get a simple cut (touch wood). You'll soon realize how fast your skin tissues heal. For example, if a simple cut on you usually takes 4 days to completely heal. Then using coconut oil will probably expedite and shorten it to 3½ or even 3 days. And if you eat coconut oil as well, it'll speed up further. Like my case. I take nutritious plant-based meals every day. I normally heal fast. But with coconut oil both on my skin as well as in my diet, the healing gets even faster. Just that simple. If coconut oil can fix our external broken tissues so well, it can definitely fix our internal damaged cells as well. Use and consume coconut oil and you won't be wrong. I have been using Extra Virgin Coconut Oil now for about 2 years. I make porridge for breakfast and mix in Extra Virgin Coconut Oil. I have also made "aftershave" from Extra Virgin Coconut Oil, Allo Vera and Peppermint and use it for treating bodily wounds also. It is good stuff and heals well. I just thought you may like to know that.